Everyone wants to be appreciated, even if only on occasion. So being asked to do this picture for money was an added bonus! 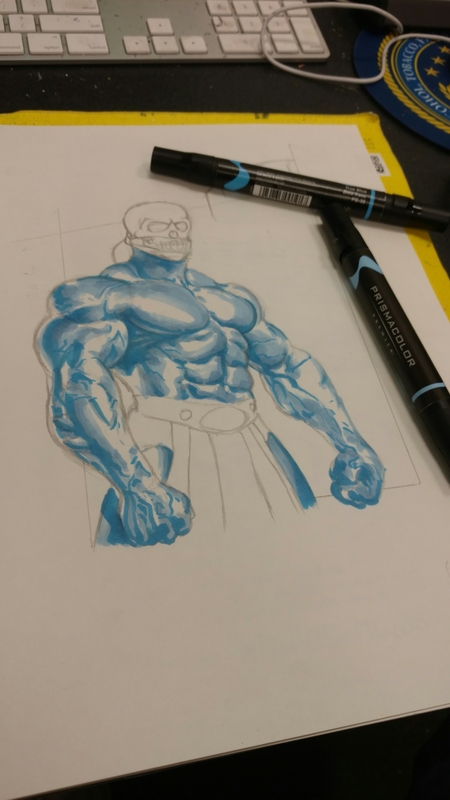 I love doing anything that requires me drawing the human (or inhuman) body. The way light catches all of its surfaces and how it all combines to show motion and emotion fascinates me. 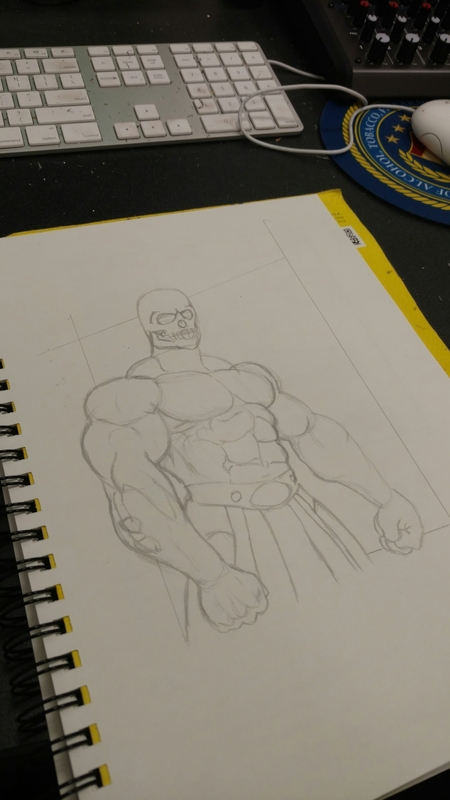 I spent a lot of time creating superheroes as a kid, learning anatomy the Marvel way, lol. When bodybuilding and wrestling came into my world, I studied the human frame, male and female and committed it to memory. 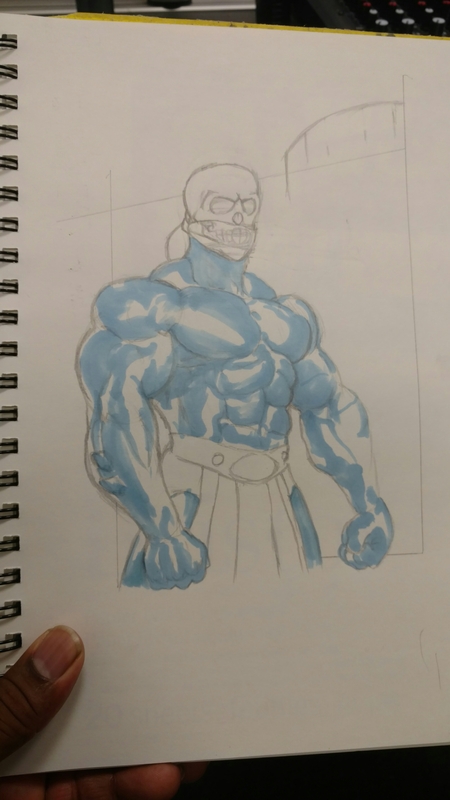 Honestly, I rarely saw He-Man growing up. 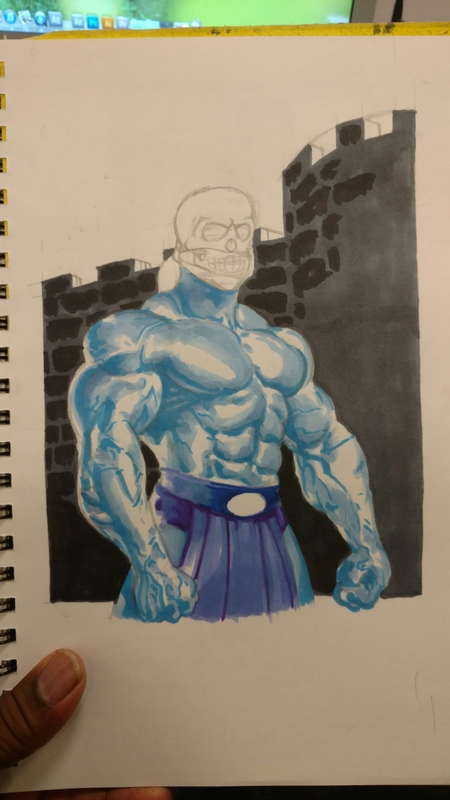 So this was really fun to tackle; putting my own spin on Skeletor. So if you can find a way to do exactly what you want and still be paid, that’s Nirvana, right?.. 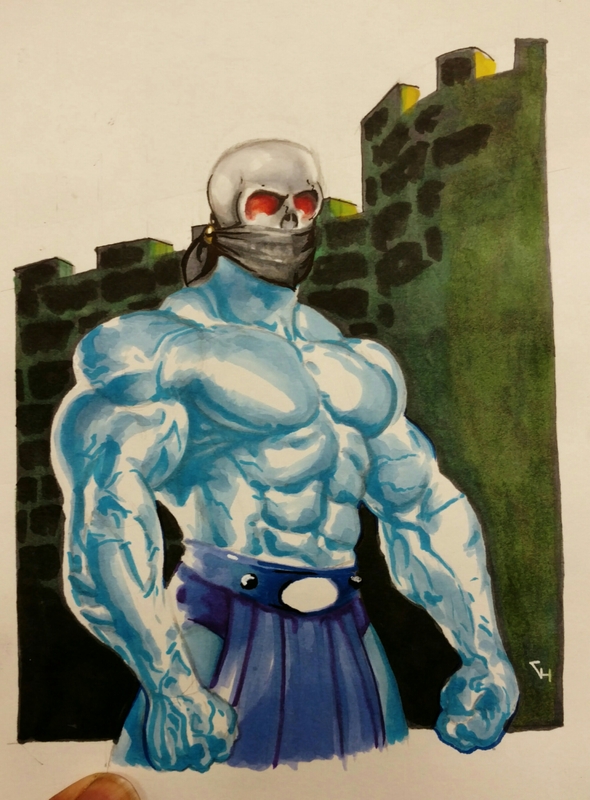 This entry was posted in Uncategorized and tagged art, art style, commission based work, He-Man, illustration, masters of the universe, playtime, prismacolor markers, Skeletor on September 12, 2016 by thumper71.